Mysuru is a place which attracts all kinds of travellers throughout the year. From Hindu devotees to history lovers, adventure seekers to nature lovers, Mysuru harbours everything to satisfy the need of its tourists. The popularity of this town is the evidence of its significance amongst travellers. Being the cultural capital of Karnataka, Mysuru is famous for its ancient palaces and incredible art forms displayed on its buildings. Also famous for its sweet dish, Mysore pak, and brands, such as Mysore Sandal, this heritage city is the heart of South India. It is next to impossible for tourists to roam around South India and not pay a visit to Mysuru. Over a period of time, it has also earned the title of the Cleanest City in India. Why not plan a trip to Mysuru this season and get lost in the elegant beauty of this heritage city of India? Mysuru experiences tropical savanna climate and hence, the temperature is admissible throughout the year. However, the summers here are little hot and therefore, it is advisable to avoid visiting Mysuru during the summer season. The best time to visit Mysuru is from September until the end of March, when the climatic conditions are favourable, letting you roam around the city comfortably. By Air: You can take a direct flight to Mysuru from Chennai. By Rail: Mysuru is well connected to Chennai and other major towns by rail. You can catch a train from Chennai station to Mysuru. It will take you an approximate time of 8 hours. By Road: Situated at a distance of about 480 km, Mysuru is easily accessible by road from Chennai and other major cities. You can either take a cab from Chennai to Mysuru or catch a bus directly from Chennai to Mysuru. However, route 1 is the fastest and the more comfortable one and hence, preferable. If you are looking to reach your destination within minimum time, then you must take route 1. Once you are on your way to Mysuru, you can explore and take a break at the following places. Situated on the banks of Vegavathi river, Kanchipuram is popular for its ancient temples depicting the fine art of architecture through its never-seen designs and patterns embellishing the walls of the temples. Undoubtedly, Kanchipuram is also famous amongst tourists for its Kanchipuram silk, one of its kinds in the country. From centuries-old temples to millennium-old culture, this beautiful city definitely boasts of its reputation as one of the major spiritual centres in South India. If you are looking to walk through the atmosphere filled with spirituality and devotion, then Kanchipuram is your first stopover en route to Mysuru. Being one of the most-visited places in Tamil Nadu, Vellore is famous amongst tourists for its ancient history and natural beauty. Apart from alluring devotees and history lovers, it also tends to attract campers and nature lovers. On one side you can explore the history of the town through its temples and ancient buildings and on the other side, you can savour the perennial beauty of its greenery spread all across Yelagiri Hills. Over a period of time, it has become a complete package for all kinds of travellers on account of its exquisite charm. How about visiting the Silicon Valley and the Garden City of India while on your way to Mysuru? Well, its nicknames clearly showcase the importance of Bengaluru amongst tourists. From visiting monumental architecture to beautiful gardens dotted all over the city, you can enjoy each and every second of your time in this hi-tech city of India. Home to headquarters of numerous multinational companies and several reputed institutions, Bengaluru has become a significant part of the country over last few years. Also known as Ambavilas Palace, Mysore Palace is the most popular tourist attractions in Mysuru throughout the year with millions of people visiting this heritage city to catch a glimpse of this glorious palace. It has been an official seat to the king of Mysuru and a royal residence of the Wadiyar dynasty. Today, you can see tourists exploring the invaluable parts of the palace and getting amazed by its incredible beauty. What can be better than knowing about the rich culture and heritage of the country? Stunning carvings and architectural designs of the palace will certainly leave you awestruck and will make you wonder about the majesty of the palace. Located at the feet of Chamundi Hills, Lalitha Mahal is the second largest palace and was built in 1921 during the time of Wadiyar dynasty. With its splendid beauty and elegance, this palace also allures tourists in thousands of numbers every month and is an incredible blend of ancient architecture and modern designs. 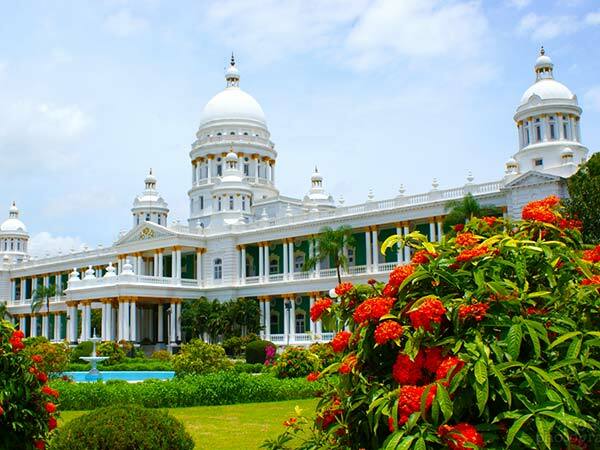 The colourful garden in the vicinity of Lalitha Mahal enhances its charm and glamour. Currently, it is serving as a five-star hotel to VIPs; however, it is open to common citizens too. Chamundi Hills is known for its surreal atmosphere surrounding the Chamundeshwari Temple, an ancient temple in existence since the time of Mysuru kings. Over a period of time, Chamundi Hills has become a synonym to the beauty of Mysuru. The serene environment amidst the spiritual and cultural nature of the city is the major lead behind the popularity of Chamundi Hills. Located around 13 km from Mysuru, Chamundi Hills provides its tourists with an everlasting experience of a perfect mix of history and nature. Do not miss a visit to this remarkable place once you have stepped in Mysuru. How about walking down the lanes of calmness and peace? Brindavan Gardens are popular amongst tourists for its natural appeal and the musical fountain show. You can visit this wonderful garden and experience its colourful and vibrant atmosphere. Being one of the tallest churches in Asia, St. Philomena's Church attracts tourists in thousands of numbers due to its exotic architecture and construction in Victorian Gothic style. It is also one of the oldest churches in India and is dedicated to the martyr of Roman Catholic Church, Philomena. Once you are inside the compound of this beautiful church, you can find awe-inspiring paintings from the Christ era. From Christ's birth to his ascension from Earth, St. Philomena's Church houses each and everything related to period of Christ.